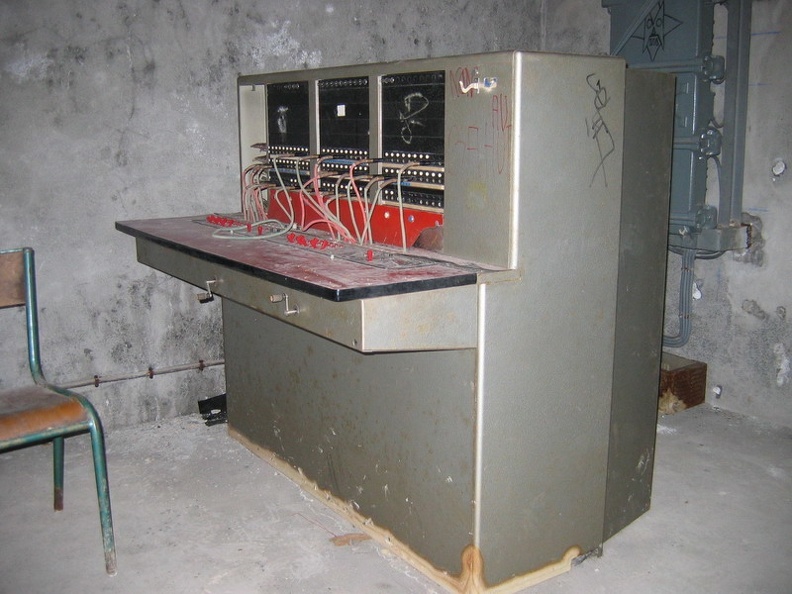 Today, we're starting a blog series about the C14 project and the nuclear fallout shelter we use to host your data. We transformed the shelter into a highly efficient, reliable and secure data center. Each post will highlight all the steps and work required to provide and deliver C14. The C14 project involves three main subjects: software development, hardware design and datacenter construction. 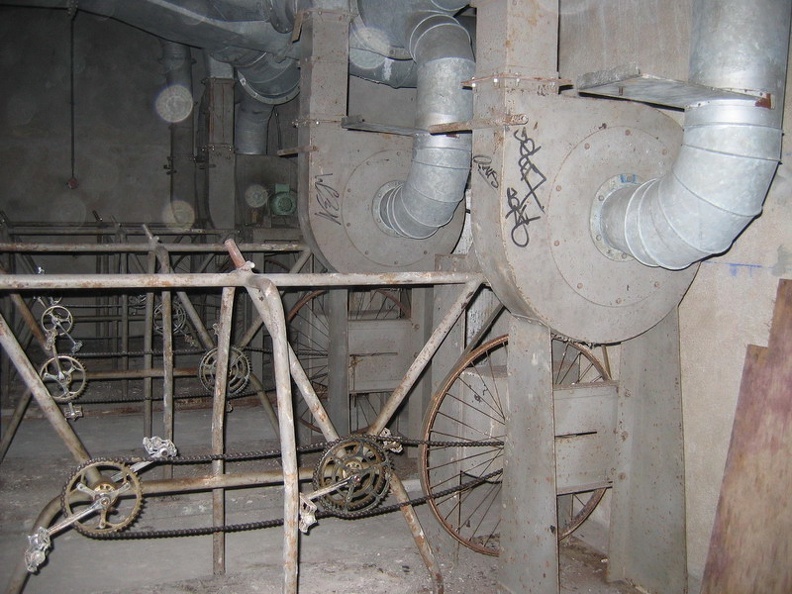 The C14 Fallout Shelter, originally called Abri Lefebvre was a passive defense shelter. 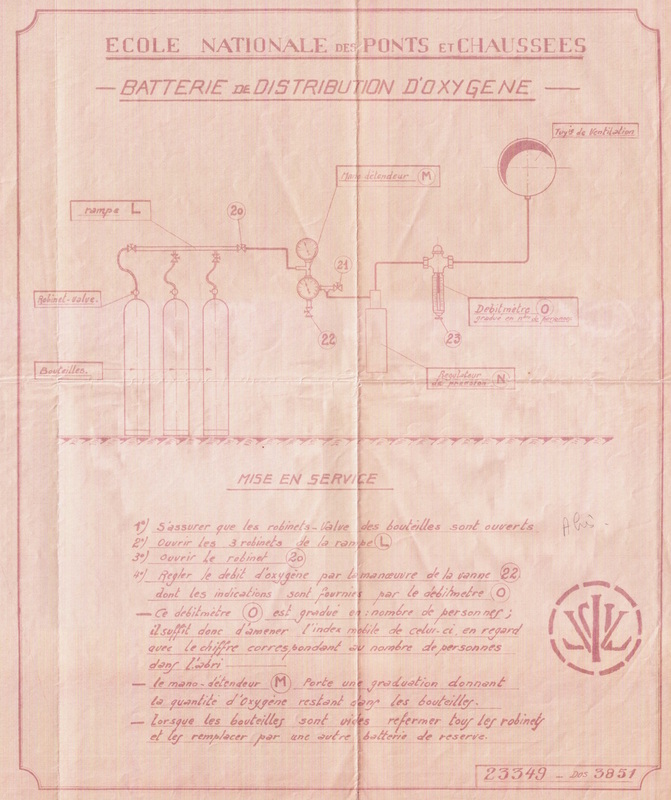 In 1936, the department of civil engineering and transport decided to build a shelter in Paris’ city center. 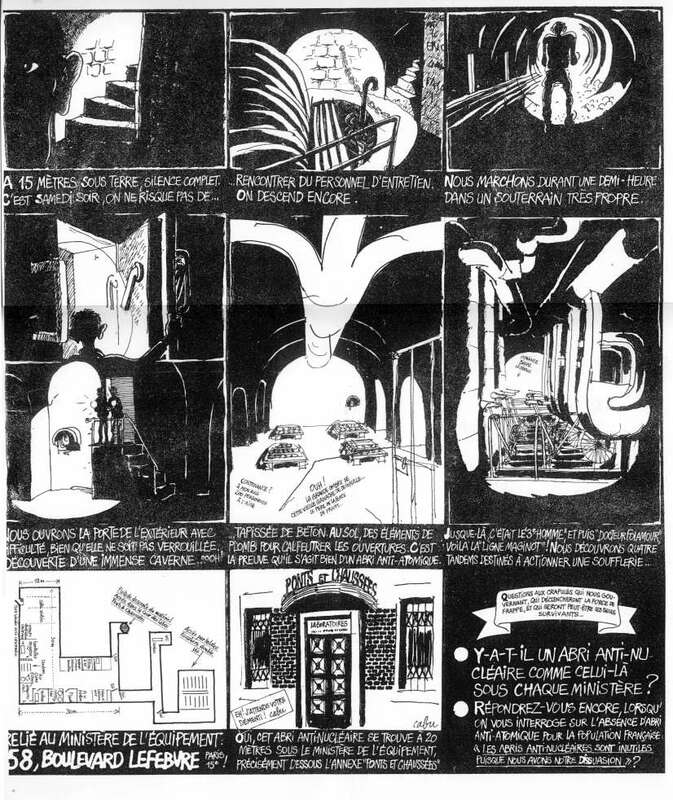 At this period, the Ponts et Chaussées' central laboratory, under construction, offers an exceptional underground situation and is selected to build the shelter. The laboratory is located on top of an empty quarry, dating from the 17th century. The quarry is 26 meters deep and is protected by a 10-meters-thick limestone deposit. The construction started in 1937 and was achieved in 1939. At this time, the facility was designed to host up to 90 persons with a floor space of 650 square meters. 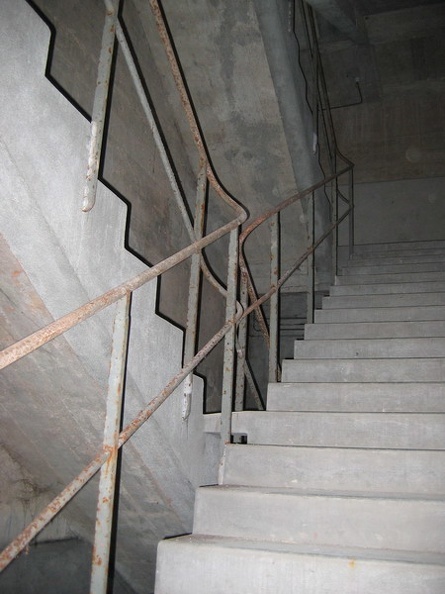 A large part of the construction work consisted of reinforcing the empty quarry and making the shelter accessible via an uncommon double revolution staircase. In April 1964, during the Cold War, the department of Civil Aviation took over the management of the shelter and undertook a deep modification of the shelter into a nuclear fallout shelter. The goal was to increase the shelter surface to 950 square meters and expend the capacity to 300 peoples. The extension work was planned to last between 4 and 6 months and used the south side of the empty quarry. 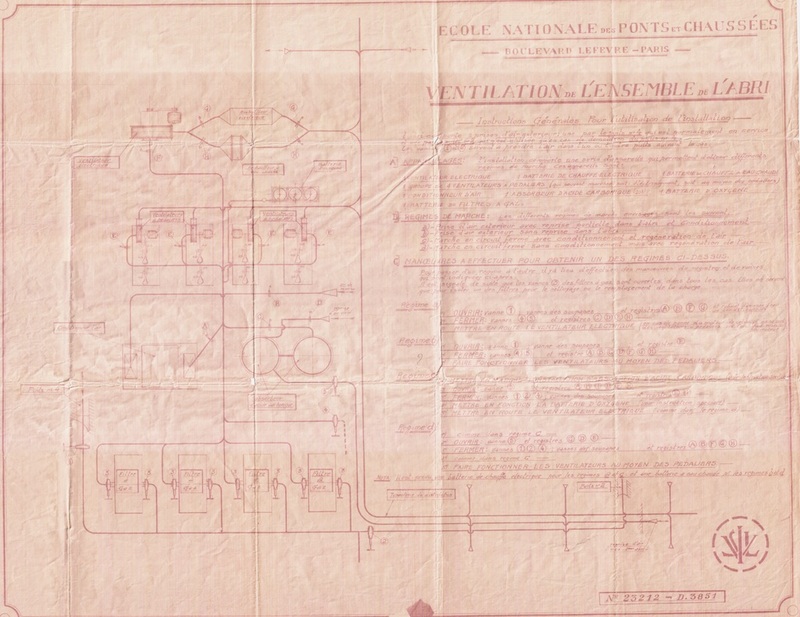 Additionally, a few improvements were added: a closed-vent system, a power supply backed by a diesel generator, several blast doors, an autonomous telephone exchange connected with the other Parisian nuclear fallout shelters and a water supply system. The shelter was operational and classified confidential until 1991 before being discontinued. 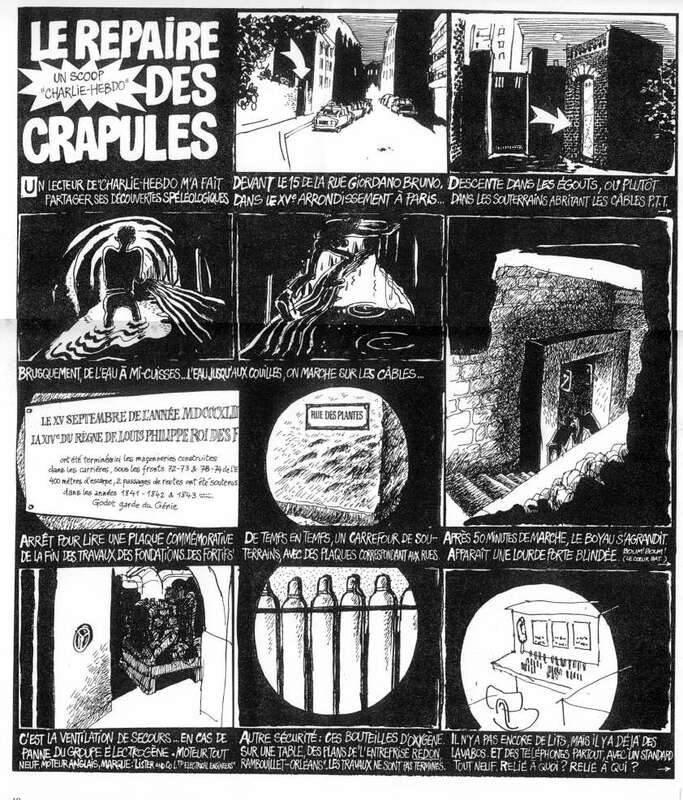 A publication of Cabu in Charlie Hebdo encouraged the French gouvernement's to disengage in maintaining this shelter operational. During 20 years, the shelter was abandoned. 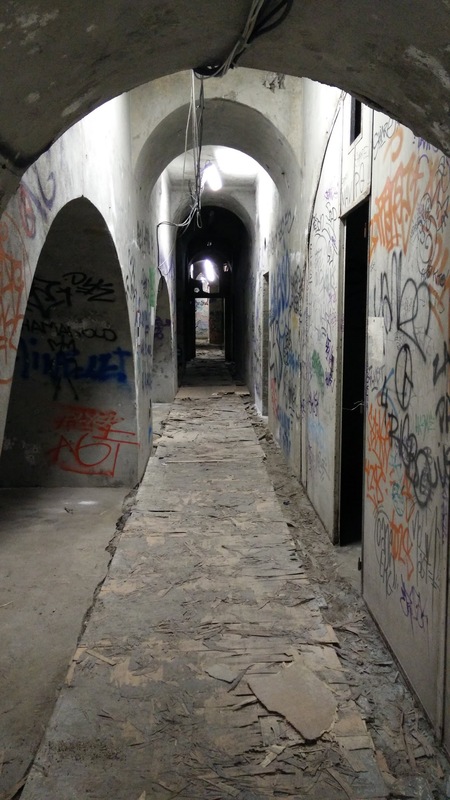 It rapidly became a mythical spot of the catacombs of Paris and experienced several degradations and thefts. A short period after the building acquisition, we realized the challenge and the work required to transform the site in a high end datacenter. 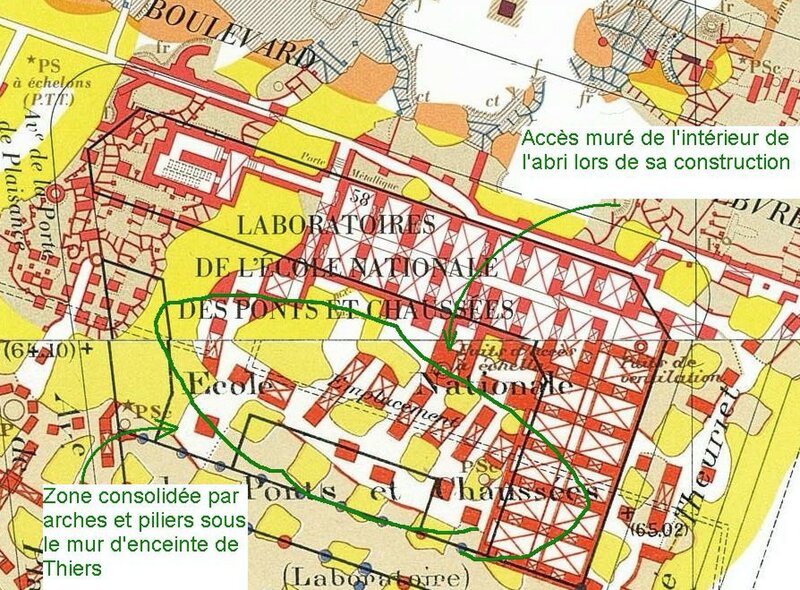 The Nuclear Fallout Shelter is totally unique by its localization, in the Paris city center, its singularity, hostility, and its complexity to access. The challenge we engaged into to perform an important and complicated transformation of the building and its shelter is just gigantic. By then, our R&D development team was already working on our storage platform, C14 we announced a month ago, that will start storing your data in the fallout shelter in October 2016. The C14 project added many constraints to the DC4 shelter design. Indeed, the racks we use for C14 are moisture sensitive and weigh more than one ton on less than one square meter, while the shelter had a concrete slab of only a few centimeters thick and almost no permanent load-bearing capacity. Furthermore, we were constrained by our insurance and certifications to keep the anti-nuclear characteristics of this shelter and to reinforce it to support total demolition of the building on surface. The project challenges were just crazy and required our teams to be very creative and clever. 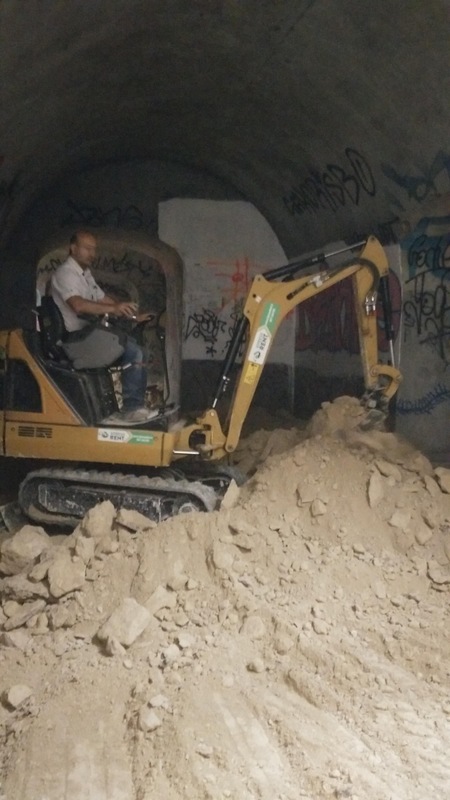 The first step of the construction consisted of removing the existing equipments inside the shelter and preparing the floors, ceiling and walls. This first step took approximately one year. Two rooms were entirely excavated for more than one meter deep to increase the ceiling height and several tons of batteries. A twenty five meters deep hopper was created from the shelter surface to install a freight elevator. 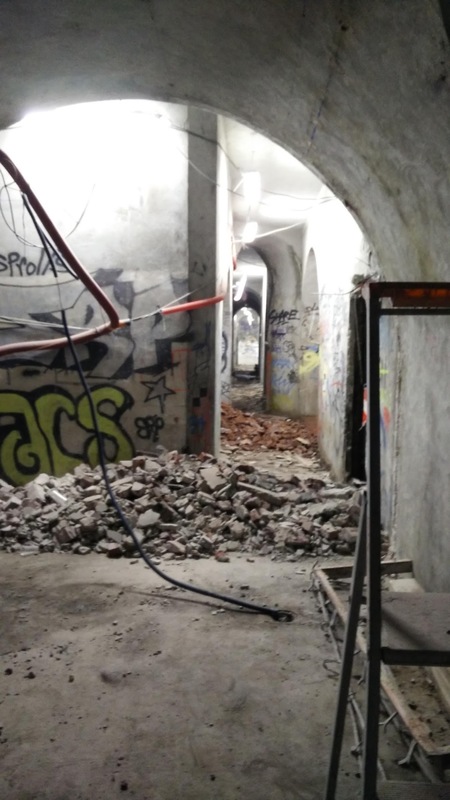 During this period, more than three hundred and sixty tons of equipment and backfill were removed from the shelter, offering a totally cleaned space to start the second step of the project, the underpinning and structural works. While we were working on the slab structure, we discovered a drilling well that wasn't referenced on any official documents. 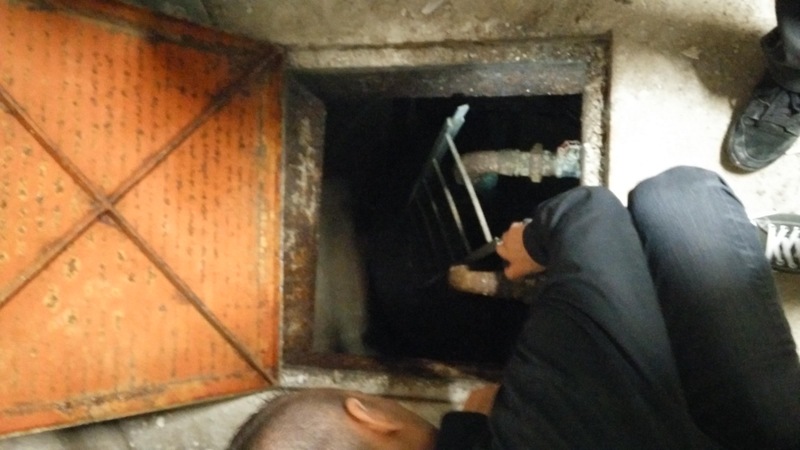 Located behind a mysterious trapdoor, the well is approximately 40 meters deep and is equipped with a complete pumping system. After performing geological studies, we learned that the well is located on the chalk phreatic table, well known for its high quality. 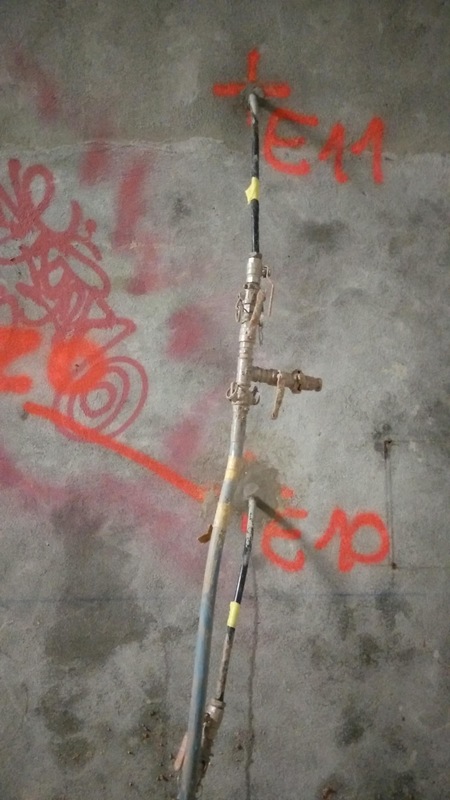 After this incredible discovery, we decided to inspect the existing equipments and we were really impressed to see that the system was still working well after so many years but we decided to remove the existing pumping system to upgrade to a more recent one and perform a one month pumping test. The test showed that the well was operational but its water flow was too low and contained a high amount of sulphates that made it irrelevant to be used for the datacenter and the shelter. We decided to keep it and use it for other usages. The C14 project required a ultra resistant slab to support power supply and IT equipments. Each C14 rack weights more than one ton on less than one square meter. It creates four punctures of 400Kgs on one square centimeter. We are planning to deploy more than one hundred racks in long run. In addition, to make the shelter completely autonomous, we had to install more than a hundred tons of electrical distribution equipment including batteries, UPS and transformers. We engaged in a serious challenge. The floor provides an excellent quality level, but the supporting pillars are pretty close of each other and add a high complexity level in the construction of the slab. To successfully achieve the slab renovation, we decided to use a method called prestressed concrete which consists in moving any applied loads on the existing pillars. We worked with a company specialized in structural works, EIBTF. This operation consists in securing each pillar. Each ground beam is prestressed on the pillar crossed by steel ground anchors. Once the ground beams are in place, tendons are placed under compression. At the same time, we dug trenches to prepare the installation of electrical communication and the drainage networks for waste water and rainwater. Each electrical connections of the datacenter are made under sleeves and slab. To have the slab exclusively rest on the ground beams previously installed, we use Biocofra, a biodegradable cardboard five centimeters thick. After casting the slab, the cardboard will quickly and naturally vanish. To support the weight of electrical equipments and racks, we used an iron framework for filling the slab. The position of the iron framework is based on the future emplacement of each rack and equipments. We also created an excavation bottom for the datacenter and shelter requirements. All the previous operations achieved, we laid the slab with a waterproof concrete. A light slope was created to allow infiltrating water to go into the gutters. The four steps described above took six months of work to create a rock-solid slab. In a highly deep and underground environment, the permeability issues are really important and we totally underestimated the quantity of work required to achieve complete shelter impermeability. The shelter has always been exposed to small infiltrating water due to the limestone characteristics. The water infiltrating flow was really slow and without any important impact. However, the destruction of the buildings in surface has made the site non-waterproof for long run. The construction work we operated increased this impact and with a rainy winter, infiltration would appear more and more. 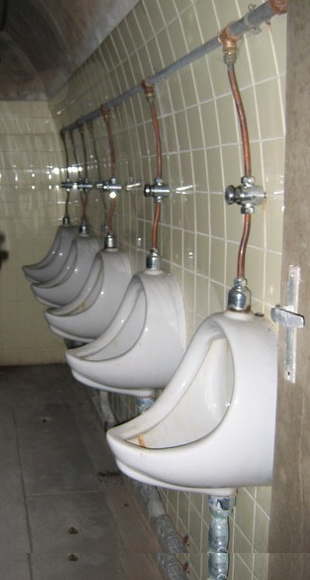 We quickly understood that we had to fix this issue with advanced technical methods. 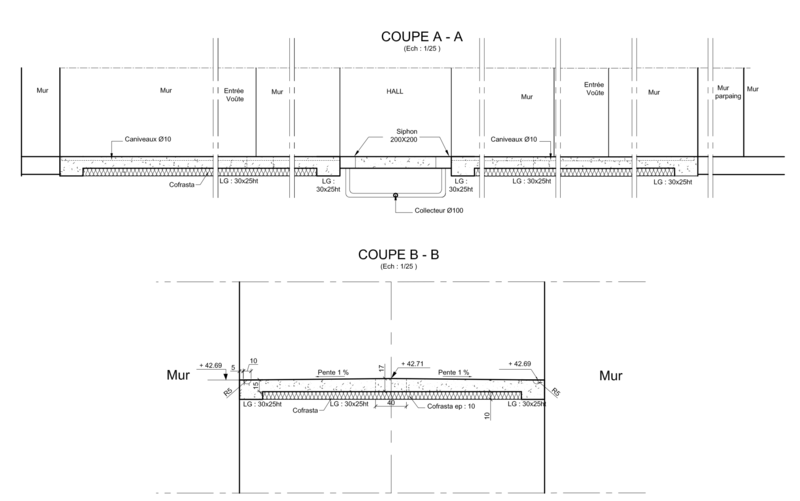 We worked with SOTEM, a company specialized in impermeability operations and known for building and maintaining the impermeability of the Métropolitain of Paris. 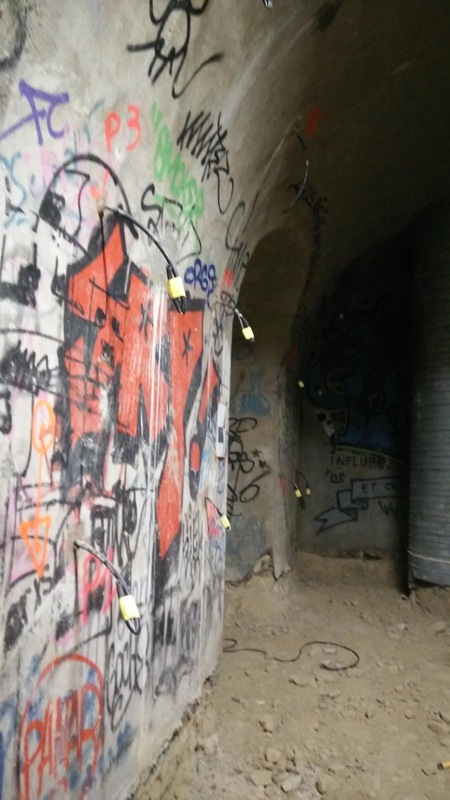 To regenerate the shelter, we firstly injected grout into the vaults under high pressure. The pressure is performed until the pressure rises, indicating that faults are fixed. Each vault is drilled one meter deep. More than seventy-seven thousand liters of cement were required during this first three months campaign. 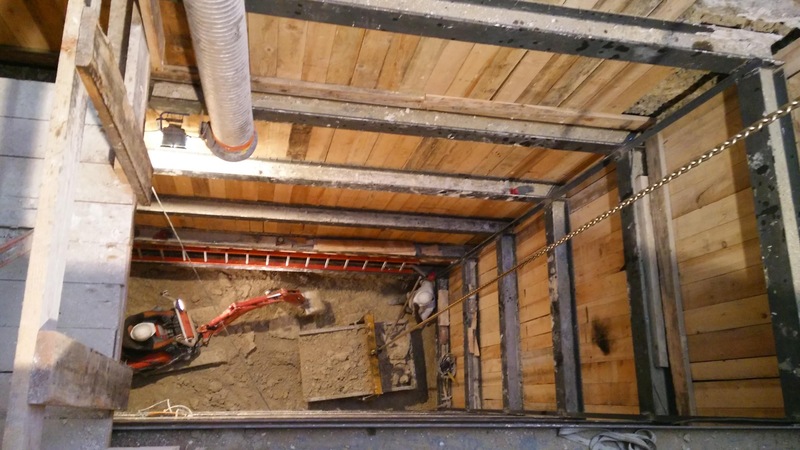 This operation allowed us to completely fill the vaults and return their initial mechanical characteristics back and a total impermeability, complying with the requirements of a datacenter. We fixed the residual seepages by injecting an expansive resin. This resin’s goal was to fix the latest cracks. This step was a long and heavy operation but the results were limited and inefficient. The very porous nature of the masonry didn't provide a good environment for this kind of technology. We changed strategy and decided to stop fighting against water but instead focus on a way to canalize and treat tightness from the vault soffit. 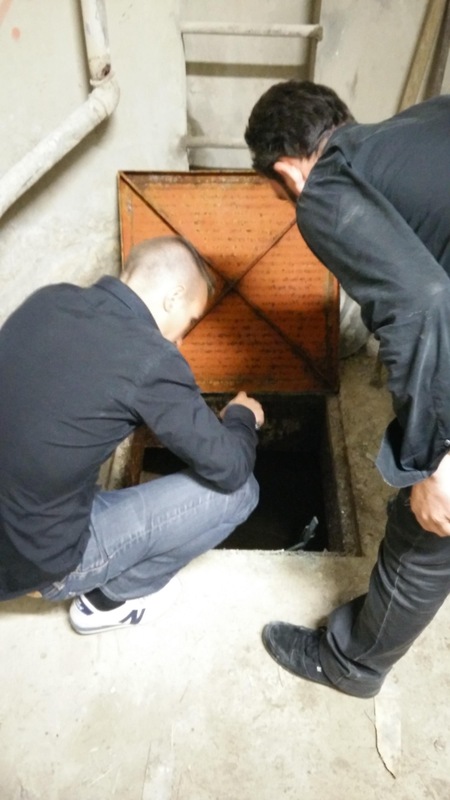 We created drains in each vault. These drains goal is to transport water into the shelter gutters. The water coming from the vaults is now under control and drained away naturally. The drains realization achieved, we had to place a resin inside each vault to make them totally impermeable, watertight lining. This resin is really complex to deploy. It required a smooth and totally dry surface. The concrete must be sanded and exempt of paint trail. The resin is applied by three overlapping layers. When applying the last one, we mixed the resin with silica to prepare the surface for the next step to lay the metropolitan tiles. We installed tiles (Metropolitan style) using impermeable and hydrophobic seals. This additional coating offers two benefits: a nice esthetic visual and especially will have an important impermeable role for the whole structure. During this operation, more than three thousand square meters of tiles were required! We hope you will love this first story about DC4 and the C14 project. We'd like to thank all the C14 early adopters, Online and Scaleway users who continuously help us make great and amazing things by their feedback and suggestions. There is so much more we are excited to share with you in the future as we continue to create, develop and enhance our infrastructure and services. We'd love to know your opinion and answer your technical questions about this first story, so please leave us a comment here or join us on the community platform. Didn't try C14 yet? C14 offers the best price/GB ratio on the market to keep your data secure and safe, try it.